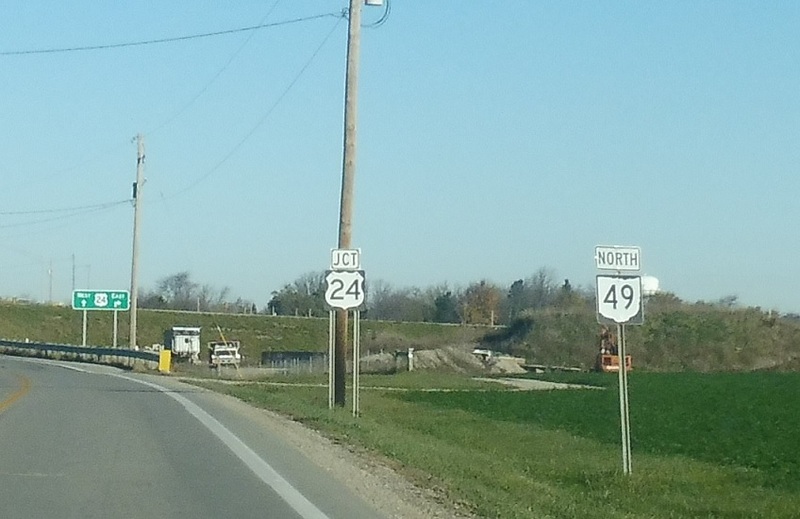 Reassurance shield a couple miles later as we approach US-24. 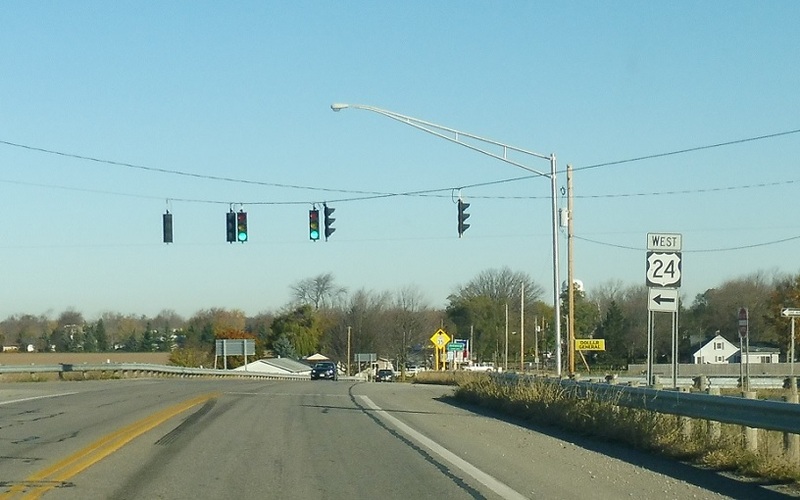 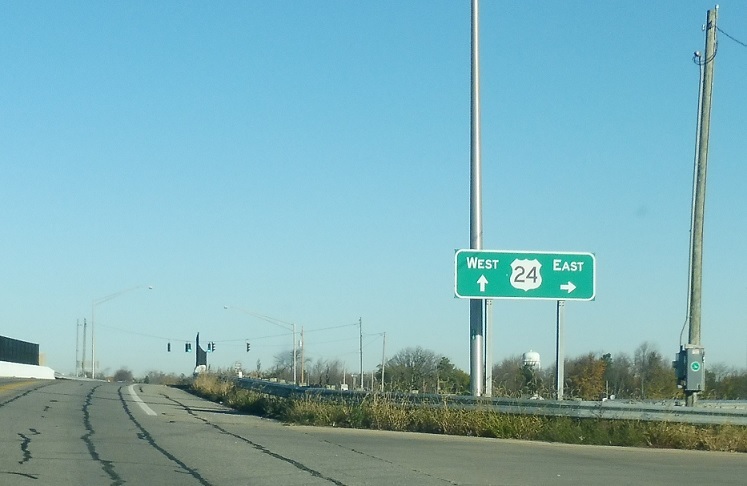 Turn right ahead for US-24 east and stay straight for US-24 west. 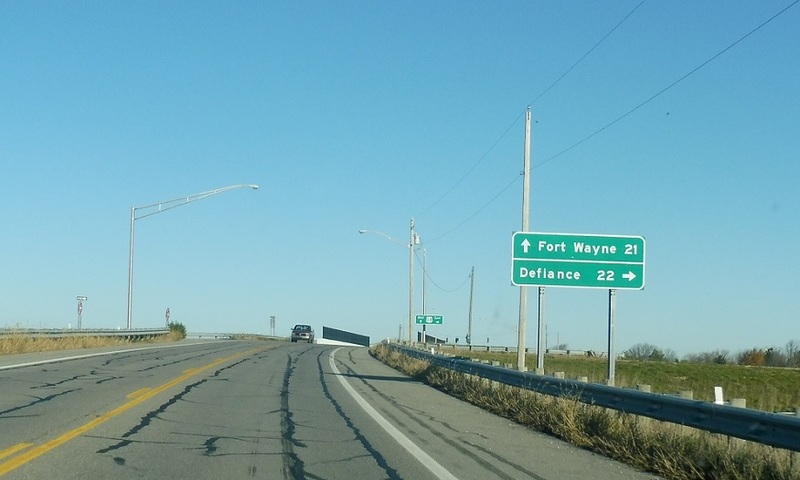 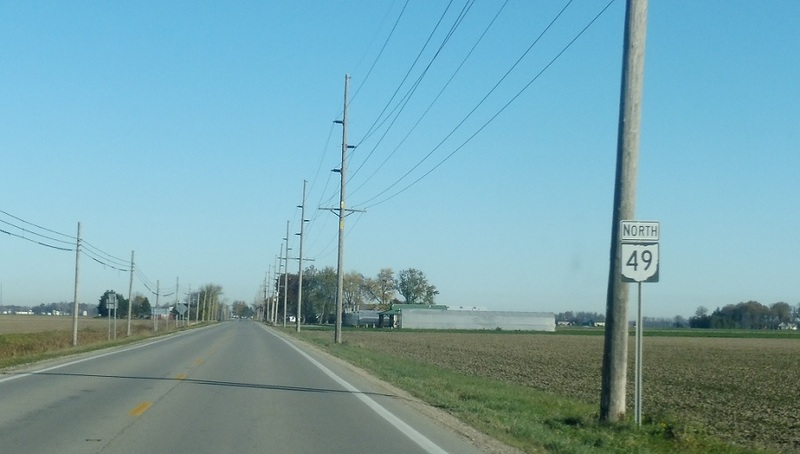 Follow 24 east to Defiance and 24 west to Fort Wayne, Ind. 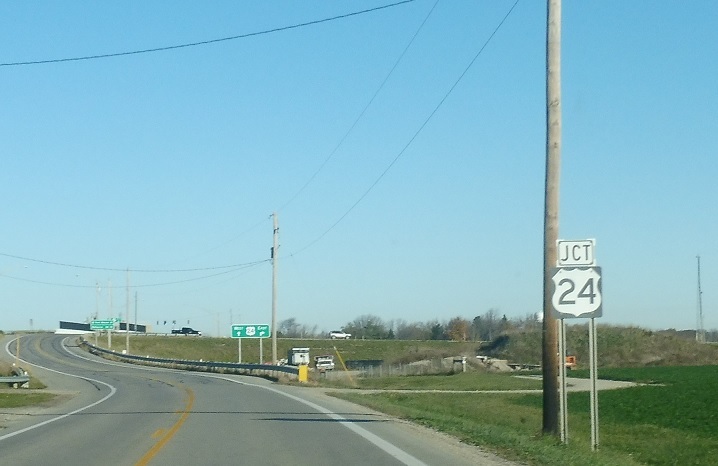 Turn right for US-24 east. 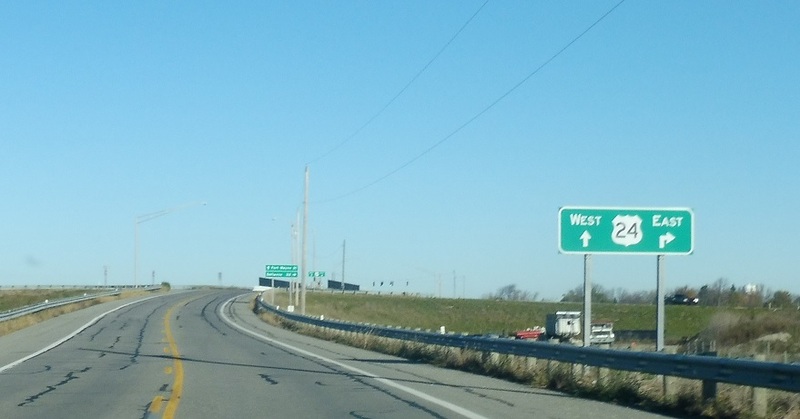 Turn left for US-24 west.